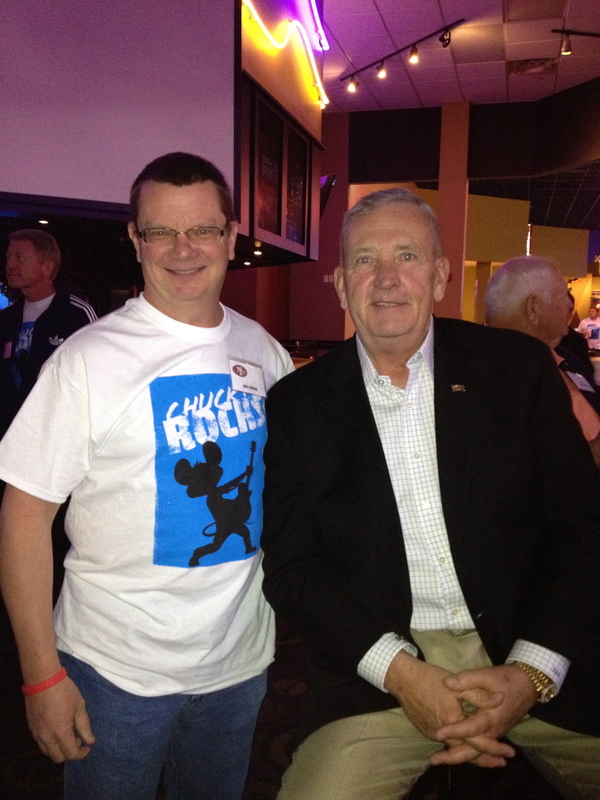 For today’s Throwback Thursday I go back just a few years to November 8, 2012 when I got the opportunity to meet, for the second time, General Tommy Franks. I first him in 2008, soon after he joined the Board of Directors of CEC Entertainment, where I was Director of Risk Management. It was a pleasure, although admittedly a tad intimidating, describing our risk management strategy to our newest (and very decorated) board member. General Franks is a true American hero and a fine man. I’m honored to have gotten to meet him – twice! Having been a Texas Longhorn fan for most of my life, standing here with my son as a prospective Oklahoma University student feels a bit odd, like I’ve snuck behind enemy lines. I suppose the only thing that would have made this moment sweeter would have been me, clad in burnt orange, with my hand raised in a defiant “Hook ‘Em” as I belted out “The Eyes of Texas” at the top of my lungs. Thankfully, I’m not that dumb. What will it be like if he chooses to attend OU? 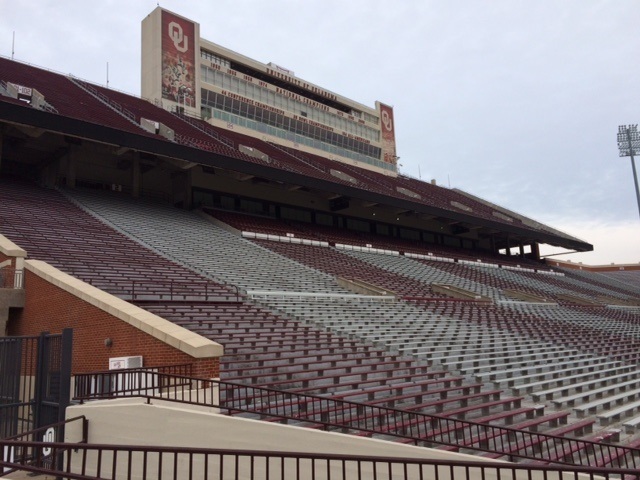 Can I muster a “Boomer Sooner” from somewhere in these stands? Truth is, OU is a great school, and if my son chooses to enroll here, he will do so with my blessing. Now, “Boomer Sooner” – that will take some work. I sometimes lament the amount of work to be done at the lake, but I sure do enjoy it. On one episode of Duck Dynasty, Jase referred to the outdoors as “God’s gym”. I can see why. There is no workout like the workout gained by clearing brush! 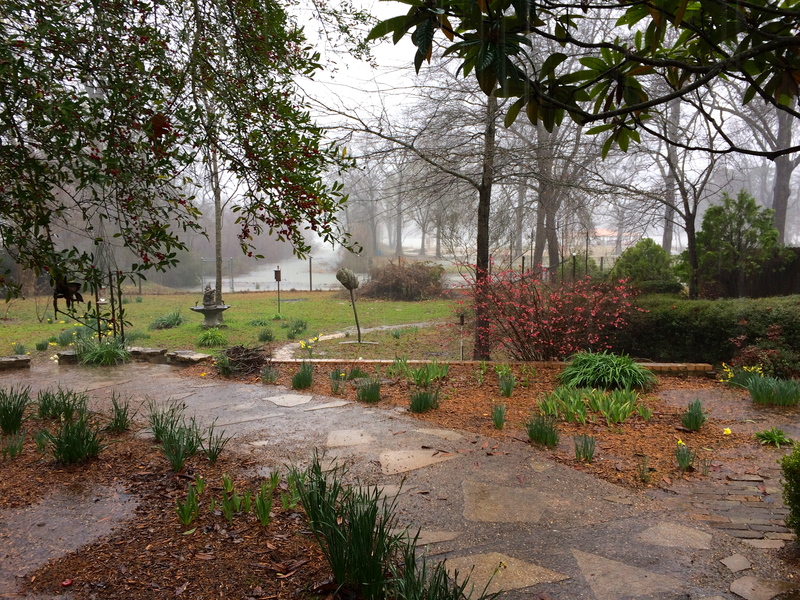 Since acquiring our lake house a few years back, we have seen the lake levels fluctuate significantly. Much of that was due to the drought that we Texans have dealt with over the past few years, while some was also due to a leak in the Lake Tyler dam, which I’m told has been repaired. Check out these shots, taken from very similar vantage points. Quite the variety! 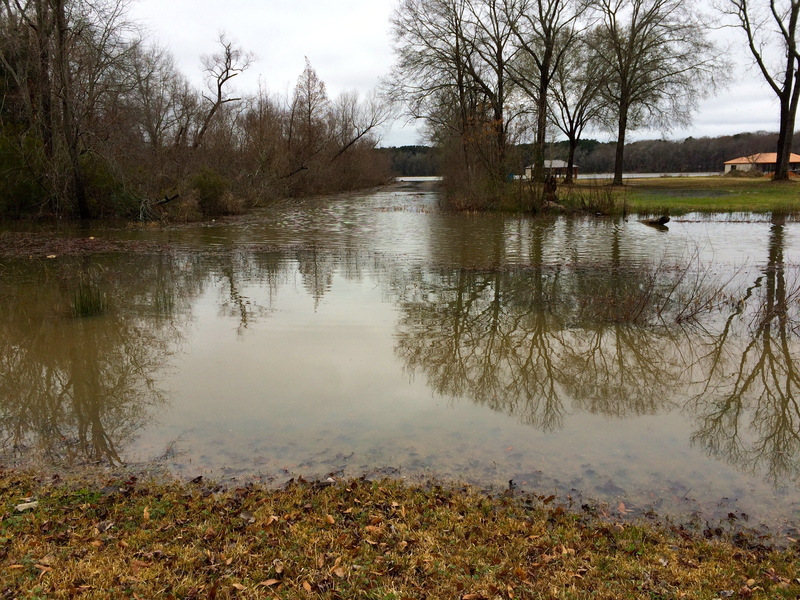 Lake Tyler Channel 3.10.2015 after several days of wonderful rain! Many parts of Texas have been parched with drought for the last few years. Here in East Texas, we’ve been spared the worst of it, although the channel running up into our yard on Lake Tyler was completely dried up two summers ago – that’s 9 feet of water gone! Today, as we listened to the flash flood warnings issued throughout our area and looked upon a full Lake Tyler, we gave thanks for the rain. We pray that our fellow Texans in points west receive the same relief we’ve enjoyed.